Condition: Very Good. Fold as issued. Ample margins. Lower margin little frayed. Verso: blank. 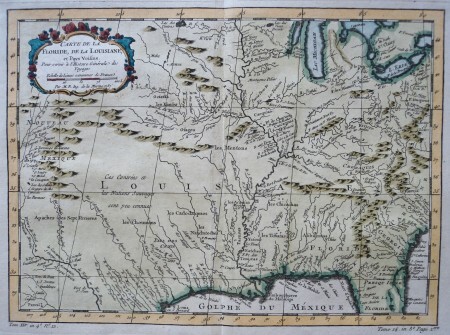 Nicely engraved French and Indian War period map of French Louisiana. It extends from the Great Lakes in the north and Nouveau Mexique in the west, to the Gulf of Mexico and shows about half of Florida. The Mississippi River flows dramatically down the center of the map with tributaries including the Ohio River, (l'Oyo ou la Belle), Missouri River, and the Riviere de Moingona in the area of modern-day Des Moines. 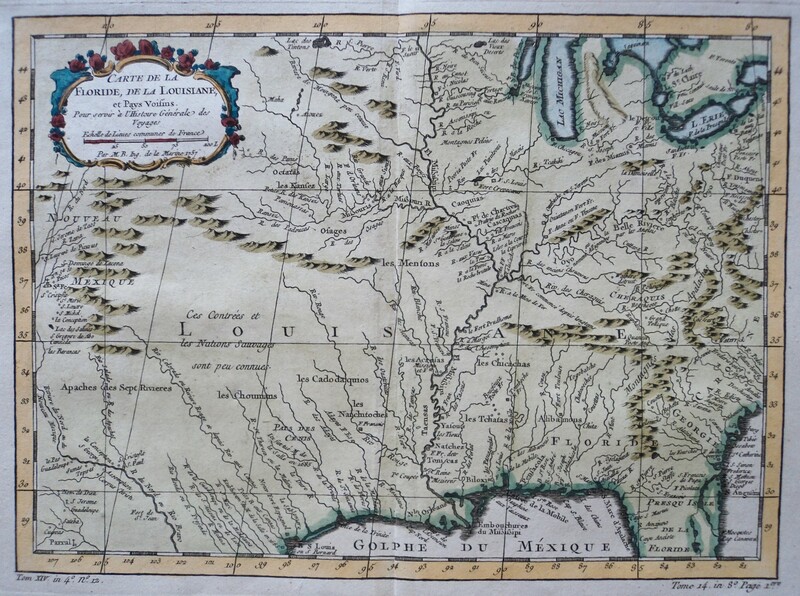 The map is filled with place names including many Indian tribes, missions, forts and early settlements. Adorned with a rococo-style title cartouche including a distance scale.